The Supreme Court of Appeal overturned a high court decision to grant a terminally ill man legal “medically assisted dying”. 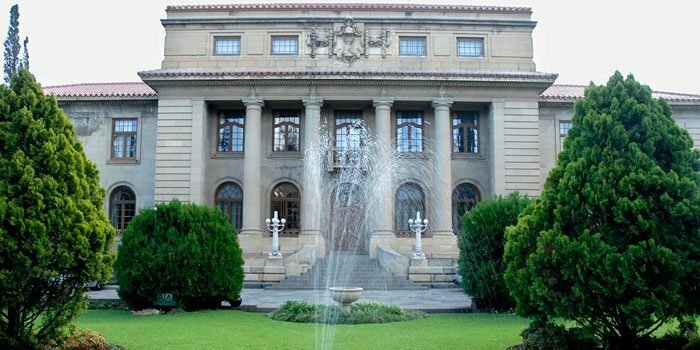 In April 2015, Robert “Robin” Stransham-Ford, who had terminal prostate cancer, applied to the Gauteng High Court for legal doctor-assisted suicide or voluntary euthanasia. After an urgent one-day trial, Judge Fabricius authorised his euthanasia. In May 2015 Lecretia Seales cited the Fabricius judgement as an international legal precedent supporting her appeal to the Wellington High Court. Judge Collins declined Ms Seales’ appeal and ruled that the current law did not infringe on her human rights. In November 2016 the South African Minister of Health, the Minister of Justice and Correctional Services and the Health Professions Council of South Africa successfully appealed the Stransham-Ford case. The South African Court of Appeal judgement was reserved until 6 December 2016. The appeal was upheld for three individually-sufficient reasons. First, the case itself was found to be invalid, because the applicant died two hours prior to the ruling being made. It seems that the news of Mr Stransham-Ford’s death may have been deliberately withheld from the lawyers and judge. Third, the order was based on incorrect facts and without giving all interested parties a proper opportunity to be heard. In the appeal it came to light that Mr Stransham-Ford tried to tell his doctor prior to the hearing that he had doubts about going ahead with the assisted suicide request. Some time after this conversation he became comatose and remained in this state until passing away peacefully. According to Dr Bruce, his doctor, Mr Stransham-Ford’s death was not the undignified and frightening experience he had anticipated. The New Zealand High Court is commended on the way the Seales case was conducted. “Among all the cases that have been considered by this court in the course of preparing this judgment, the only one that was brought with anything like a similar sense of urgency was the New Zealand case of Seales…. In both countries a person who assists in another person’s suicide can face a maximum penalty of 14 years’ imprisonment. Both applicants were lawyers and terminally ill. Ms Seales had brain cancer. Mr Stransham-Ford had prostate cancer. Both applicants died peacefully of natural causes – not the painful, undignified deaths they feared. Both applicants asserted that their cases were only about them as individuals. However, in both cases the judges acknowledged that their individual cases had societal implications. In both cases the judges ruled that an elected Parliament, not the courts, should decide on whether assisted suicide and voluntary euthanasia should be legalised. 1. The “right to die” is suicide. “Assisted dying” is essentially a suicide method. 2. The “choice” of the patient is not relevant. For more information about the Stransham-Ford case and the euthanasia debate in South Africa, see Euthanasia Exposed.